Samsung has confirmed that the price of its 55-inch OLED TV could cost anything over £5,400 making it more than twice the cost of the current high-end HDTVs. Officially unveiled at CES 2012 last month the Samsung 55-inch Super OLED stole the show in Las Vegas with the ultra svelte unit playing host to a high-end display crafted from single sheet of glass. 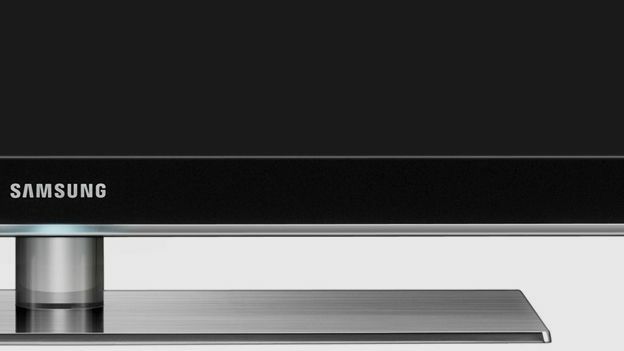 Pre-loaded with the company's active 3D technologies for extra dimensional viewing, the Samsung 55-inch Super OLED TV also features internet connected Smart TV capabilities with the app infrastructure further plumped by an integrated HD webcam that boasts motion-sensing tech and facial recognition capabilities. Publicly unveiled this week Samsung have apparently confirmed that the TV will be launching in just a few months in an attempt to beat bitter rival LG and its own 55-inch OLED TV to market. Are you tempted by the upcoming availability of a 55-inch Samsung Super OLED TV or will the high-end tech's expected lofty price tag put you off? Let us know via the T3 Twitter and Facebook feeds.